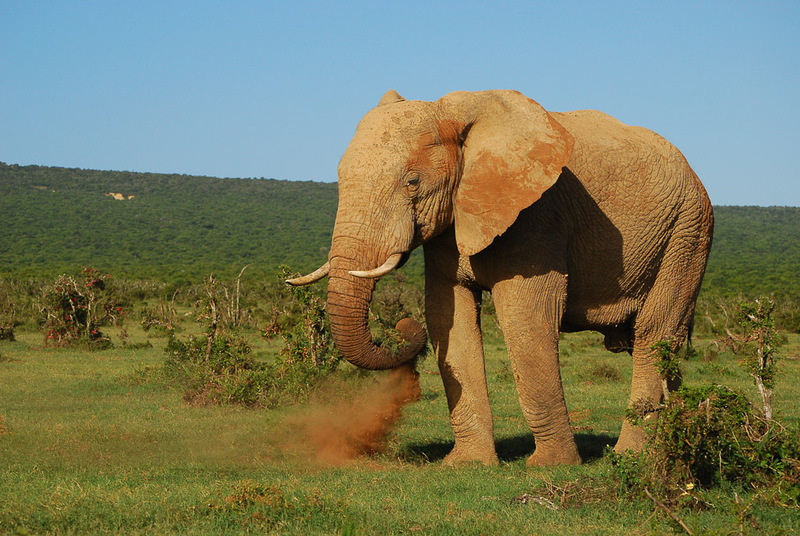 Addo Elephant National Park is South Africa's third largest national reserve. 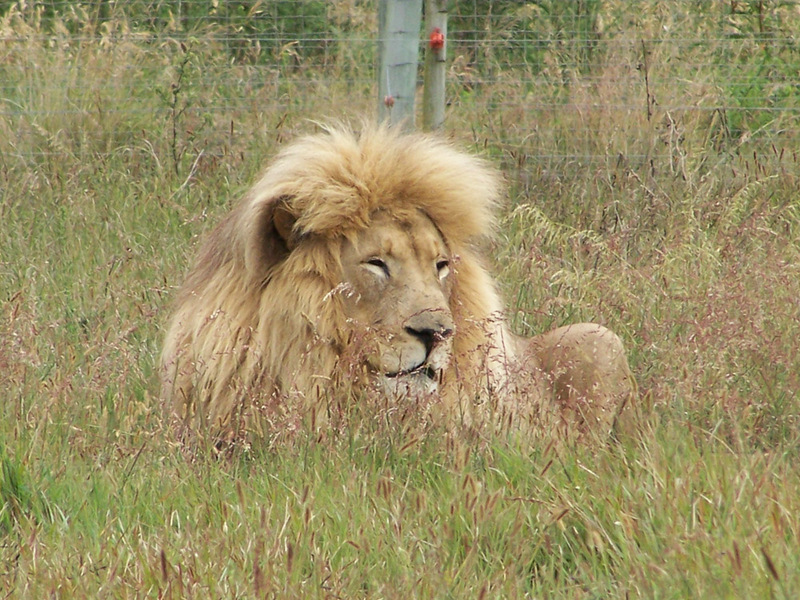 This reserve is located in the Sunday River Valley in the Eastern Cape, an hour's drive from Port Elizabeth. 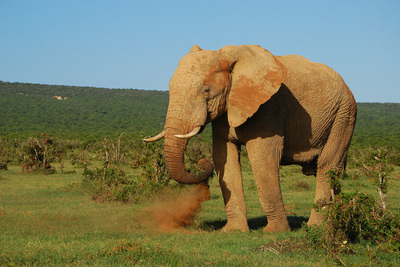 Addo Elephant National Park was established in 1931 to protect the remaining 11 Addo Elephants. Hunters decimated herds during the 18th and 19th centuries, during the 20th century the remaining elephants were coming into conflict with farmers who wanted them to be removed completely. The original park was only 2000 hectares, but conflicts continued between elephants and farmers, with the elephants continually breaking out of the fences! Finally in 1954 the park manager designed an elephant proof-fence, which is still used today. The park has expanded over the years and now encapsulates five of South Africa’s seven major vegetation zones. 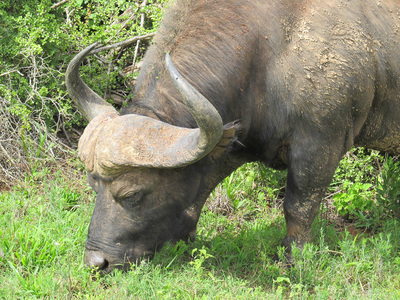 It is also the only park to have Africa’s ‘Big 7’ (elephant, rhino, buffalo, lion, leopard, whale and great white shark). Today there are more than 600 elephants in the park and over 400 Cape buffalo. Lion and spotted hyena have been reintroduced in recent years. 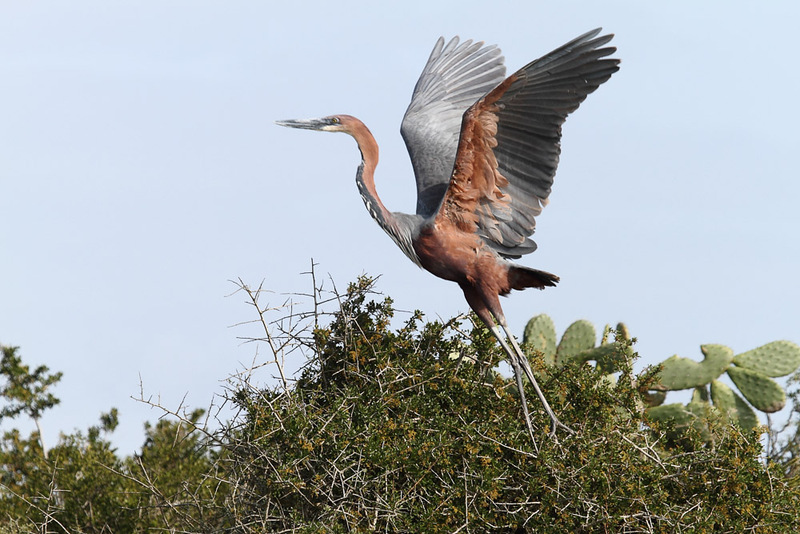 The park is also an excellent destination for keen birders with so many different habitats there are over 880 species of bird listed on their species list. Situated within the reserve, Addo Rest Camp is managed by South African National Parks. The self-catering chalets, suitable for 2 to 6 guests. The highlight of the camp is the floodlit waterhole, where guests can enjoy watching animals come to drink during the day and at night. 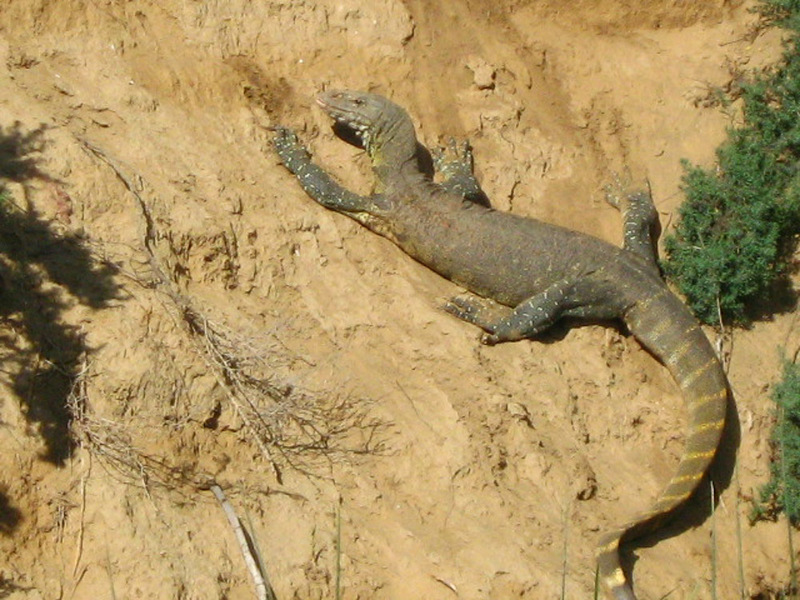 There is also an underground hide; allowing guests an unparalleled view of the animals. Other facilities in the camp include a swimming pool, a restaurant and a shop for basic supplies. Children of all ages are welcome at SANParks - Addo Rest Camp. Elephant House is a 4-star colonial style lodge situated near the main entrance of Addo Elephant National Park. This lodge is an oasis in the Sunday River Valley. Guests can relax in the beautiful gardens and courtyards. There are 8 double rooms in the lodge, which are all fully air-conditioned and have en-suite bathrooms. When guests are not on a game drive in the park they can enjoy relaxing at the swimming pool. Children of all ages are welcome at Elephant House and baby sitting facilities are available on request. River Bend Lodge is a luxurious 5-star venue and consists of eight individual luxury units; the suites are set in a beautiful lush garden. 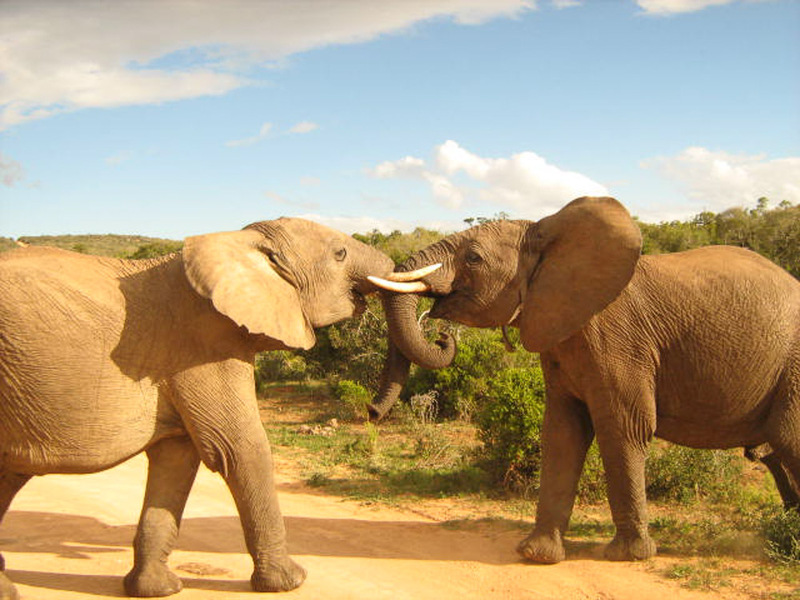 The lodge is located in 14,000 ha private concession within Addo Elephant National Park. This ensures that guests can enjoy a private and exclusive safari experience. The area is home to many animals including the Big 5 and numerous bird species. In the central dining area guests can enjoy the classic French cuisine paired with delicious wines from all over South Africa. Children of all ages are welcome at the River Bend Lodge, and there is a complementary child minding service available. 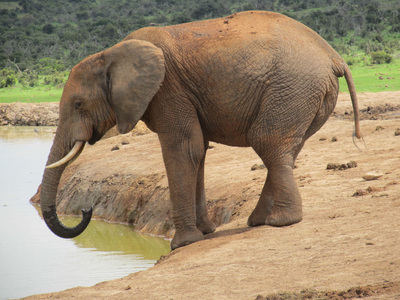 Do you want to visit Addo Elephant National Park but prefer something different to the options above? Get in touch and we'll happily design your Tailor Made tour!